The manufacturer recommends taking two (2) tablets twice daily with water 30 minutes before or after meals, or as directed by your health care professional. Internet pricing may vary from website to website. At the time of writing this review this product was found at a price of $10.99 for a bottle of 30 tablets. At the suggest use, this should last you about 15 days. 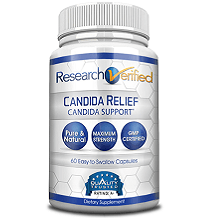 There are a lot of yeast treatment products on the market, including Only Natural Yeast Therapy. However, considering the ingredients of this product, its price and the fact that they do not offer a guarantee, a consumer may want to look for a better product. Unfortunately, this product’s manufacturers do not deem it necessary to provide a guarantee for it.